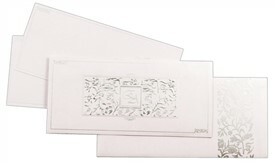 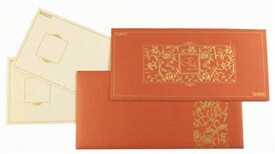 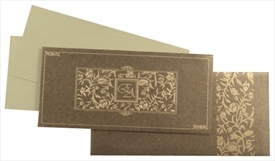 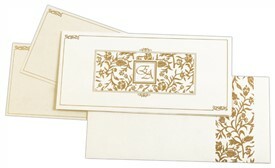 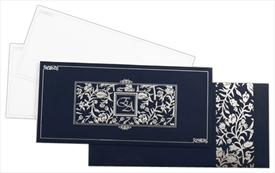 D-5219, White Color, Shimmery Finish Paper, Designer Multifaith Invitations. 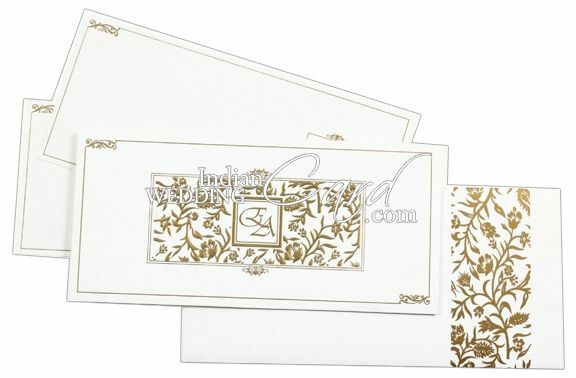 The front of this card has golden colored border design with embossed floral pattern and central window for symbol/initial of your choice. 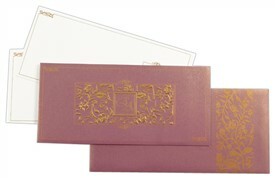 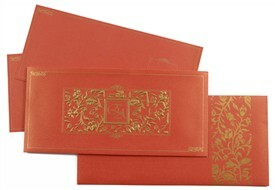 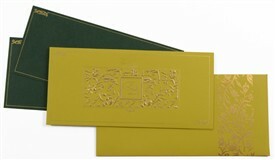 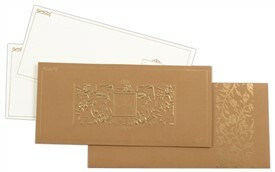 The inserts and the envelope too has golden border. 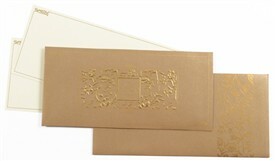 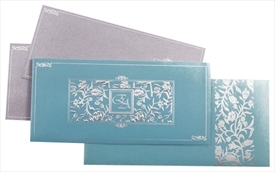 White Color Shimmery Finish Paper (250gsm) for docket style card, envelope and pocket. 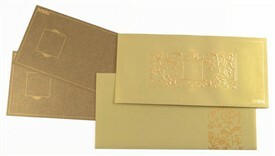 White color shimmery paper (250gsm) for 3 inserts.